Just four days removed from the Hell in a Cell 2018 Pay-Per-View event, WrestlingDVDNetwork.com can reveal its official DVD cover, and this one’s monstrous! 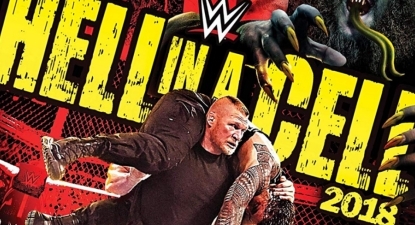 The artwork will feature Braun Strowman, Roman Reigns and Brock Lesnar in a sort of hybrid between a PPV poster cover and one that features a shot of a defining moment of the said PPV. Here, we see Brock Lesnar interrupting the main event Hell in a Cell match in the show’s closing moments. Fans in the United Kingdom can pre-order the Hell in a Cell 2018 DVD now here on Amazon.com; fans in the UK can pre-order here on Amazon.co.uk. The extras for the 2-disc set have not yet been confirmed along with the cover but if recent trends are to go by we’ll see Rusev Day vs. The New Day from the Kickoff Show and a few matches or moments selected from RAW and SmackDown Live episodes aired in recent weeks. Hell in a Cell is a playground for those who like to inflict pain and create mayhem. Joined by Special Guest Referee Mick Foley, Braun Strowman cashes in his Money in the Bank Contract against Roman Reigns for the Universal Championship inside the hellacious steel structure. Once great friends, now enemies, Becky Lynch and Charlotte Flair go head-to-head for the SmackDown Women’s Championship. Rivals collide when AJ Styles defends the WWE Championship against Samoa Joe. And in the second Hell in a Cell Match of the evening, Randy Orton looks to “erase the enigma” of Jeff Hardy. Plus, more! The RAW and SmackDown Superstars go through hell! 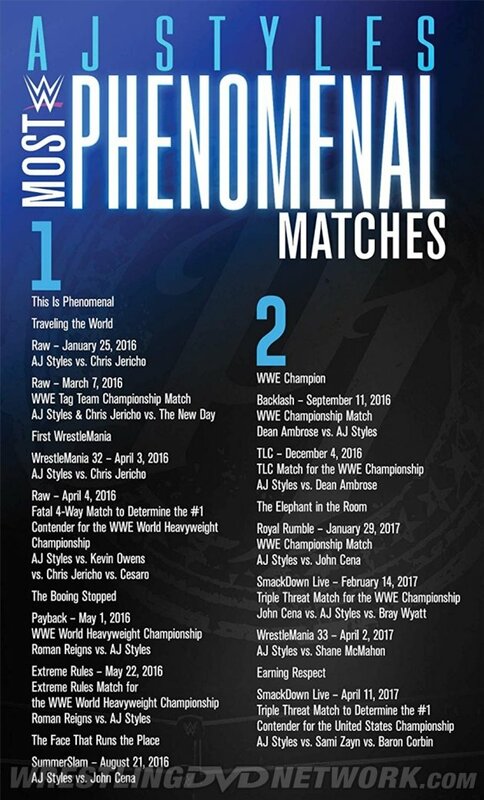 Speaking of artwork, let’s take a little look at more of what’s planned for the packaging of WWE’s new “AJ Styles: Most Phenomenal Matches” DVD! Below you will see how the match listing of the AJ Styles DVD will be laid out on a paper insert inside the DVD case in the USA and printed on the reverse of the sleeve in the UK. Don’t forget, this release will have two separate covers as there’s a store exclusive in the works. More news now on WWE’s DVD release of Super Show-Down 2018. In addition to a new synopsis for the title we have learned that in the domestic market this PPV DVD will include a trading card of Alexa Bliss. 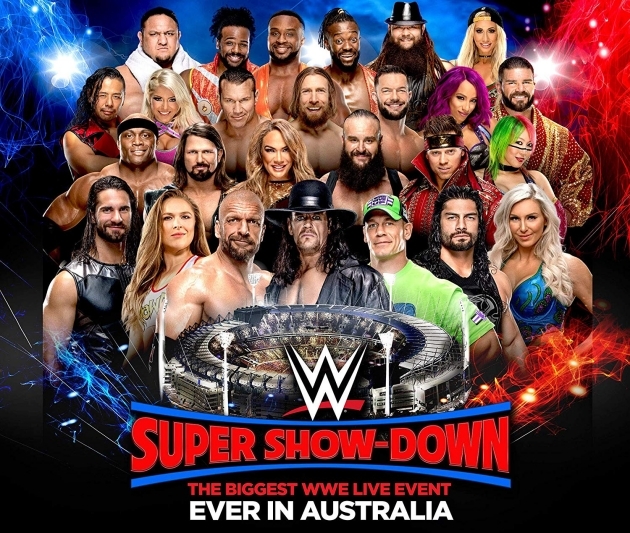 WWE’s biggest Superstars from RAW and Smackdown head down under for WWE Super Show-Down, Australia’s biggest sports-entertainment extravaganza. Championships will be defended, legends will return, and the WWE Universe will be absolutely unglued. Featuring Triple H vs. Undertaker for the final time, John Cena, Ronda Rousey, Bobby Lashley, The New Day, Sasha Banks, Roman Reigns, AJ Styles, and more of your favorite WWE Superstars. The Hell in a Cell DVD mentioned earlier will have a Braun Strowman trading card and the Survivor Series DVD, ending this year’s Home Video line-up, will have a Kurt Angle trading card. We’re still waiting to hear which Superstar/s will feature on a card for the Greatest Royal Rumble. You can already pre-order the Super Show-Down DVD by clicking here to Amazon.com. With SummerSlam released this week, we look ahead to the next WWE DVD offering which comes to us in less than 2 weeks: “Shawn Michaels – The Showstopper Unreleased”. This one’s simple – 34 matches that have gone unreleased on Home Video until now! In the UK and looking to pre-order? Then you better Superkick the HBK DVD into your basket at WWEDVD.co.uk because every pre-order made there will include a bonus pull-out poster featuring the DVD’s cover artwork. “LOTS” OF DEALS TO BE HAD! 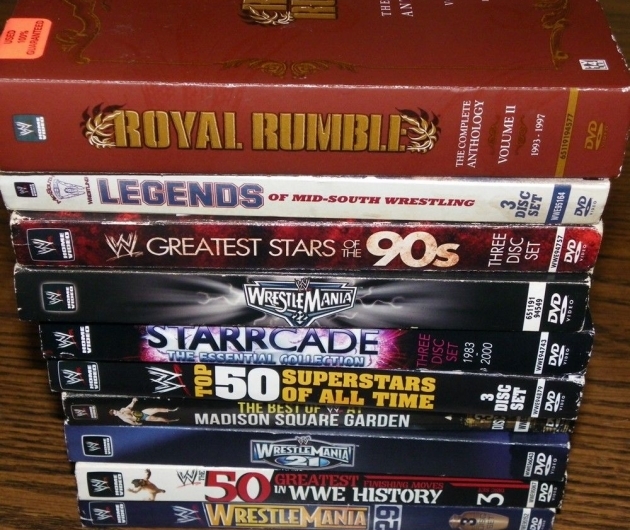 How about 31 wrestling DVDs (including a Rumble Anthology and a WWF title) for just $23? That’s up for grabs for a potentially great price in a no reserve auction expiring today. Is Brock down on his knees while giving Reigns that F5 on the cover? Look where the ring mat is and how short Brock looks in comparison. They did something similar with the UK exclusive AJ Styles art. He’s leaping and has almost landed on the canvas but with nobody beneath thanks to the horrendous photoshop job. I’m not a fan of the demon characters, personally. I think they look OTT and childish. I hated it when they did something similar that year when CM Punk was on the HIAC cover and they gave him horns. Love the ‘Hell in a cell’ front cover. The event was great. Not a large fan of this year’s HIAC card itself or how the event ended, but wow, that cover is pretty amazing. The demon characters are a really nice touch and the embellished colors really standout. I’m in agreement with all your points. I’m not bothered about cover art really but compared to other recent efforts they’ve actually put some effort into this one! Cool HIAC cover. I also like the insert for the AJ Styles dvd. I look forward to getting both.